I have been practicing “Personalized and Functional Nutritional Medicine” for the past 33 years. During my career I have studied extensively the science of genomics, environmental and energy medicine, functional testing, how foods, supplementation along with other natural modalities are used as medicine to heal. I have taken courses and reviewed high level course content for functional nutrition. This journey has allowed me work along with my patients to create an individualized roadmap for restoring their health. 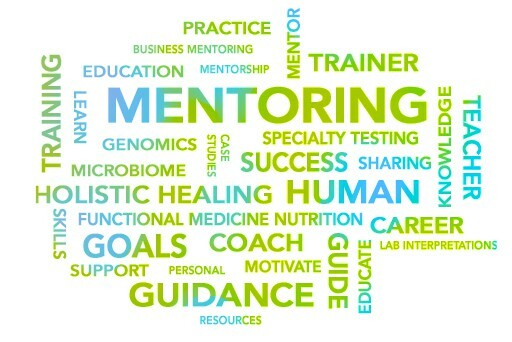 Mentoring other health coaches, dietitians, and nutritionists that want to learn how they can help people using the Functional Nutritional Medicine approach, has become not only a mission but my passion. If you are just getting started with the field of Functional Nutrition and want to know how to get started, or you are looking for guidance to learn how to integrate your knowledge of functional nutritional medicine in your practice, or you feel stuck on what direction to take with challenging patients, I can help you. What information is important to gather from patients and why? Where do I start with the information my patient provides? How do I interpret that information? What testing do I choose? How do I order the testing and provide the test to the patient? What specialized food and supplements protocols do I recommend base on all the information? How does genomics fit into my practice? What foods prescriptions will be most beneficial to the patient? These all can be confusing when putting together a model that works for you. I am here to tell you there is a practice formula you can make your own. You possess your own unique talents to help people get better. I will share my experience, the tools I use, guide you in your areas of interest and together we will discover your practice style. It is an exciting time in our field so let’s get started. Learn to put your knowledge of nutritional science to work for your clients. Gather relevant patient information and learn how to prioritize that information. Determine what tests to use to help guide your clients and create a precision plan. Learn to interpret specialty testing to increase your skills as a nutritional expert. Learn how to set up functional testing in your practice. Know what nutritional supplement protocols are appropriate for different cases. Utilize tools and educational materials to communicate complex information effectively. Consult with me on complex patients to hone your functional nutritional skills. Create a model that fits into your best skill sets as a nutrition practitioner. Explore and learn how to monetize your practice using testing, supplements, etc.. Learn how to incorporate other holistic practices to improve patient outcomes. Let’s set up a time to discuss what you are looking for and how I can help. Please contact me for comments, questions and to schedule a time to chat. Gay is one of the most experienced and knowledgeable nutrition professionals I have the pleasure of working with. With her holistic approach and warm personality, there’s no one better to help troubleshoot nutrition related issues and get proven solutions. Whether you’ve got gut issues, weight management goals, or food sensitivities, Gay provides the utmost care and level of service to her patients. I worked with Gay after I became an RD. I had health issues I needed to work on and I wanted to specialize in Functional Nutrition like Gay. I learned how to integrate specialized testing and holistic healing by working on myself first. Gay has since helped me with numerous clients on their journeys to vitality and healing. Her knowledge, patience and intuition have given me the support and clinical mentoring I needed to apply the science to my practice. Thank you Gay! Gay mentored me for over a year, helping me navigate my own health concerns whilst learning the ropes of functional nutrition. Her support, knowledge and kindness have been invaluable to my personal health and career journey! Gay was instrumental in helping me find out the root causes to my symptoms what other medical professionals could not. Using testing, nutrition and lifestyle changes as well as supplements, I was able to better understand my body’s unique needs and now use her training and mentoring to help the patients I see as a functional nutritionist.